I-Berhad handed over 3,000 keys worth RM1.7 billion to house buyers in i-City in 2017 and 2018 with majority planning to live there. MORE people are searching for properties online, especially in Kuala Lumpur, Selangor, Penang, and Johor. Could this be an indication that people are willing to buy properties no matter what the price or market situation is, but must they be in key markets and in prime areas? People generally want to live in an area that is easily accessible to major roads and highways, and is located nearby public amenities and to their workplace. Properties in prime areas are usually priced from RM500,000 (studio/one bedroom apartment) to over RM1 million (terraced houses/semi-d). 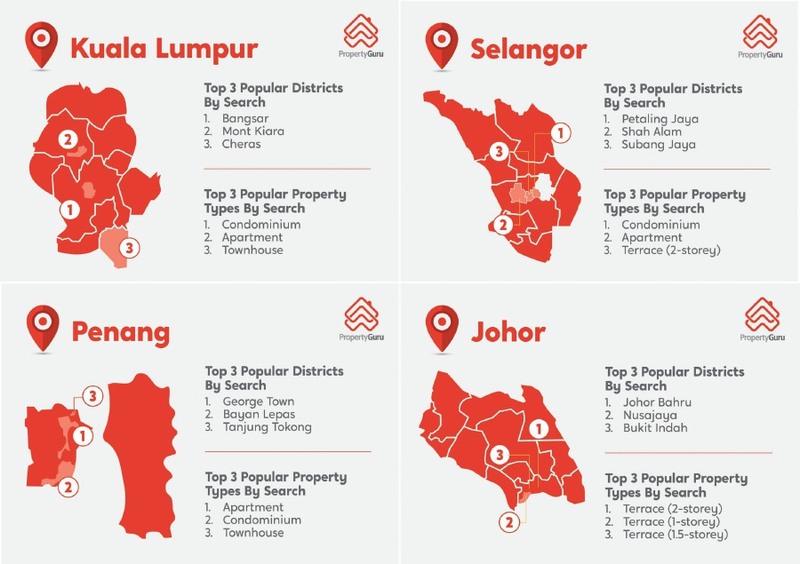 PropertyGuru Malaysia’s online portal, which has over 1.3 million Malaysians searching for properties, has seen a surge of interest in the following property hotspots. In Kuala Lumpur, the hotspots are Bangsar, Mont Kiara and interestingly, Cheras/KL South is also on the list. ”While there has been a dip in asking prices, the demand for property in Kuala Lumpur is still strong,” said Sheldon Fernandez, PropertyGuru Malaysia country manager. The most searched properties in Bangsar, Mont Kiara and Cheras are condominiums, followed by apartments and townhouses, he said. Among the major developers in Cheras are Sunway Property, which is developing Sunway Velocity integrated development, and Mah Sing Group Bhd with M Vertica. 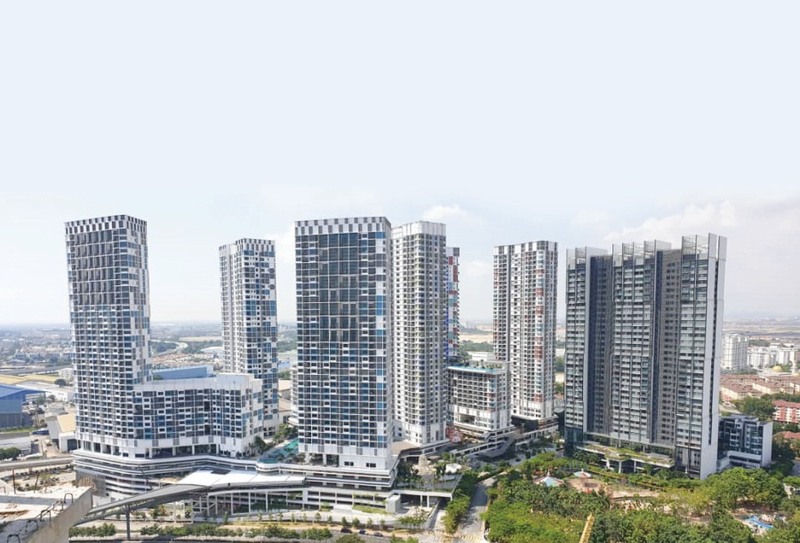 M Vertica comprises three towers with the first two towers launched last year offering 1,493 units and that sells from RM450,800, or RM530 per sq ft (psf), and more than 80 per cent have been sold. The third tower has 752 units with built-ups of 850 sq ft and 1,000 sq ft (four bedrooms), and the price starts from RM506,000, or RM540 psf. Mah Sing has said that majority of the units were bought by first-time house buyers and upgraders in the Cheras area. Fernandez believes the reason the higher interest for high-rises in Kuala Lumpur is because of its more affordable entry price points. In terms of prices, most people search for properties that are below the RM300,000 bracket. This price bracket is obviously not feasible for Bangsar, Mont Kiara and Cheras, since many of these locations are above the affordability range, said Fernandez. “There is an obvious mismatch between what is desired and what is actually achievable. And one of the best ways to check what is achievable is by utilising the PropertyGuru Mortgage Pre-Qualifier that is able to tell buyers if they are eligible for a loan, in a 99.5 per cent accuracy check,” he said. Fernandez said demand for real estate in Selangor continued to be high despite declining prices with properties in Petaling Jaya, Shah Alam, and Subang Jaya topping the list. Properties that are most searched for in these areas are condominiums, followed by apartments and two-storey terraced houses. The RM9 billion i-City project in the Selangor capital city of Shah Alam is probably one of the most sought-after developments as it offers a myriad of properties, like small office/home office (SoHo) and small office/versatile office (SoVo), as well as mid- to high-end residences. In the last two years, developer I-Berhad handed over 3,000 keys worth RM1.7 billion to house buyers in i-City. Most of them bought the house for their own occupancy. According to Fernandez, transit-oriented development (TOD) properties is also on the radar of home buyers. “There is a strong upswing in demand for properties strategically located or directly connected to the MRT (Mass Rapid Transit) and LRT (Light Rail Transit) lines. Other factors such as maintenance of the property and lifestyle facilities will play a part for buyers to ascertain if it is a right fit, given that buyers are spoilt for choices in a market that is saturated by supply,” he said. The most popular residential areas within Penang are Georgetown, Bayan Lepas, and Tanjung Tokong, with the common factors of all three locations being their centrality to either the city centre or the Penang International Airport. Apartments and condominiums are the most desired types of residential properties in these hotspots in Penang, followed by townhouses. Fernandez believes developers will continue to build smaller, high-rise units — 450 to 840 square feet, which offer flexible spatial layouts to cater for varying demographic segments such as single adults, young couples, 2+1 families, newly-weds, senior citizens or empty-nesters. “These units will offer space-saving furniture to allow for greater space utility. Dual key units are likely to be popular to those who wish to work and live at the same place. These smaller sized units will be built closer to public transportation and will come with more facilities. The latter will be a key determining factor for developers to win over buyers,” said Fernandez. In Johor, there is an uptrend currently in terms of the number of people purchasing properties. Hotspots in Johor is still in Johor Baru, Nusajaya and interestingly, Bukit Indah. As compared to Kuala Lumpur, Selangor, and Penang which have been facing a downtrend since 2016, Johor was the only state that was experiencing an uptrend. “The fact that its prices are beginning to dip shows that the property prices in Johor may finally be correcting,” said Fernandez. He said unlike other states, where property buyers were most interested in high rises, in Johor the demand is highest for landed properties, especially two-storey terrace houses. “Overall, despite the sluggish market condition, it’s a healthy situation as there is plenty of supply for both purchase and rental for Malaysians to choose from, and encouraging greater innovation and ideas to come to the fore, especially with regards to build and design, spatial use, technology and more,” said Fernandez.